Are you considering energy healing for your next spiritual boost? Reiki is an ancient healing modality designed to bring emotional and physical well-being to patients. Its central principle involves the movement of energy at the hands of a Reiki healer. There are many benefits to reiki, particularly when it comes to physical manifestations of emotional pain. Most people leave reiki healing sessions feeling aligned, restored, and centered. Reiki can be particularly valuable for treating anxiety. There are a few things to keep in mind before you go to your next reiki healing session. Read on for insight into what you need to know to have a powerful session! Reiki is an ancient healing modality that relies on energy work to promote holistic well-being. While its precise origins are unknown, it is generally believed to have originated in Japan. Reiki became a named form of healing in the early twentieth century when Japanese therapist Matiji Kawakami published a book about the technique. After Kawakami released his book, various other Reiki healers stepped forward, building the tradition as we know it today. Your Reiki healing session has centuries-old roots, much like meditation and yoga practices do. Nonetheless, many people still attest to Reiki’s ability to attend to “modern” life. Reiki healing is based on the belief that we are made up of shifting fields of energy. These energy fields or centers change throughout our days and years due to life’s own natural flux. This energy is often referred to as “chi,” or life force. Some traditions also call this life energy “prana.” Many followers of the yogic tradition also study the Chakras, the energy centers in the body. During a Reiki session, your healer will work with your body’s fields of energy. He or she will use very light touch to do so, focusing on realigning and balancing your energies. In this sense, Reiki may be very similar to other modalities designed to shift and rebalance energy. These include deep breathing techniques, acutonics, acupuncture, and Thai massage. It is possible to enjoy a Reiki healing session now and then, much like a massage. 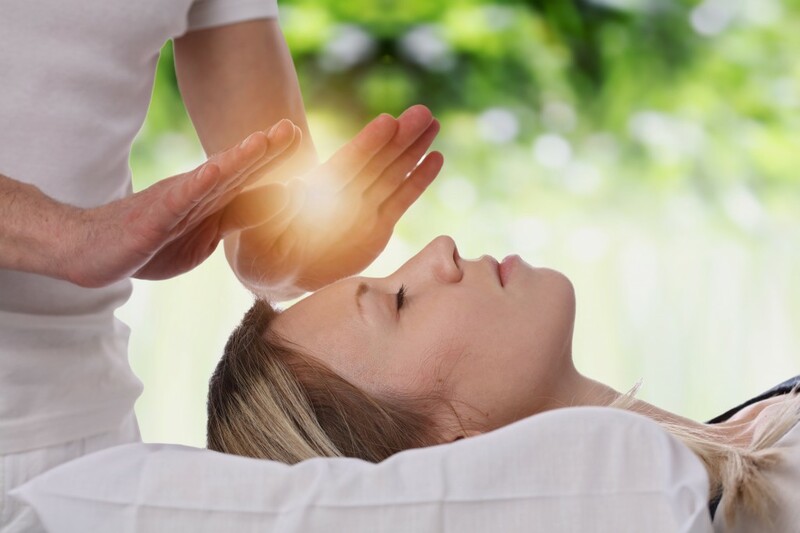 However, because Reiki is a form of therapy, many practitioners recommend that you undergo at least a series of four sessions to see maximum results. If you suffer from any serious condition, such as chronic pain or depression, your practitioner may recommend even more than four consecutive sessions. Every Reiki practitioner will structure sessions differently. For this reason, your Reiki healing sessions will vary in length. You may undergo a session that lasts only 20 minutes. Other sessions can be as long as 90 minutes. The length of your session will depend on your practitioner and your own therapeutic needs. Some healers will also spend time getting to know you before a first session. Others like to discuss your experience following time spent on the healing table. We can’t emphasize this enough. Just as every psychotherapy session is different, every Reiki healing session will have its unique flavor and direction. Your Reiki experience will depend on what your healing needs are. People who are using Reiki to treat anxiety, for example, will have a fundamentally different experience than those turning to energy work for cancer recovery. Reiki sessions will also depend on your relationship with your practitioner and your willingness to let the healing work happen. You do not need to be well-versed or even familiar with energy work and other healing modalities to experience Reiki. It’s possible to sign up for your first session with absolutely zero prior knowledge. If you do have any questions about your first Reiki healing session, it’s imperative to communicate with your practitioner. Nothing about Reiki should feel scary or intimidating; if it does feel this way, this could be a barrier to your own healing experience. Reiki does not require any “invasion” of your body. Your practitioner won’t be applying needles to acupressure points, for example, as she would in an acupuncture session. Your healer will use very light touch to manipulate energy fields. However, this touch is very light, always appropriate, and often very soothing. This can be ideal for people who are wary of invasive healing of any kind. Typically, patients lay down, fully clothed, on a comfortable massage table to receive Reiki healing. Most practitioners do not encourage patients to rely on Reiki alone to treat severe conditions. For maximum results, many patients often supplement Reiki with other healing modalities. Reiki often complements talk therapy sessions, for example, as well as herbal or natural medications. It can easily integrate with regular yoga and meditation practices, too. Some Reiki practitioners like to get to know what is going on in their patients’ lives before a session. This can be valuable when it comes to tailoring a session to a patient’s specific needs. You may also discuss your healing experience with your practitioner after a session. These conversations may also include instructions for next steps. Because Reiki is a form of hands-on healing, it’s essential to choose a practitioner wisely. In many ways, a positive connection with your healer can make your experience all the more nourishing. Much like choosing a counselor, it’s vital to research Reiki practitioners thoroughly. If your town or city has a Reiki healing center, this may be an excellent place to start. Reiki healing may just be your solution for alleviating anxiety, chronic pain, relationship issues, and more. Before you sign up for your Reiki healing session, be sure to familiarize yourself a little bit more with this ancient healing modality. Reiki has Japanese origins and works with the body’s energy fields or centers. Practitioners use non-invasive touch to realign and clear relevant energy centers in the body. Because Reiki is therapy, it may be used alongside other healing treatments, such as yoga or talk therapy. It does not require any prior experience. Psychics Directory is your online source for spiritual alignment. Are you ready to consult a psychic about what comes next? Browse our directory now!